Valparaiso, Chile: The Beginners Guide! Valparaíso is a colourful port city on Chiles coast, two hours from the capital Santiago. 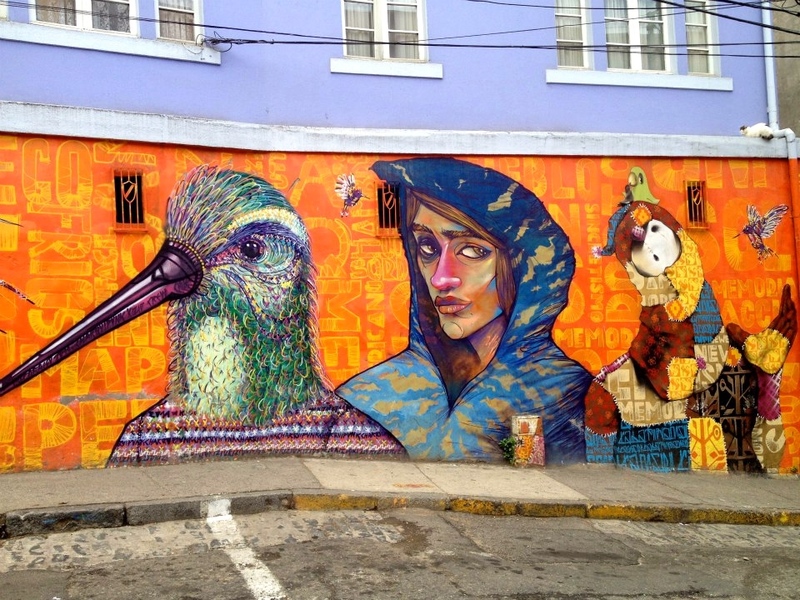 This UNESCO city is known for its steep streets, colourful buildings and some of the best street art in all of Latin America. This bohemian town is a favourite with the creatives and has inspired generations of writers, artists and poets including Nobel-Peace winning Poet Pablo Neruda. 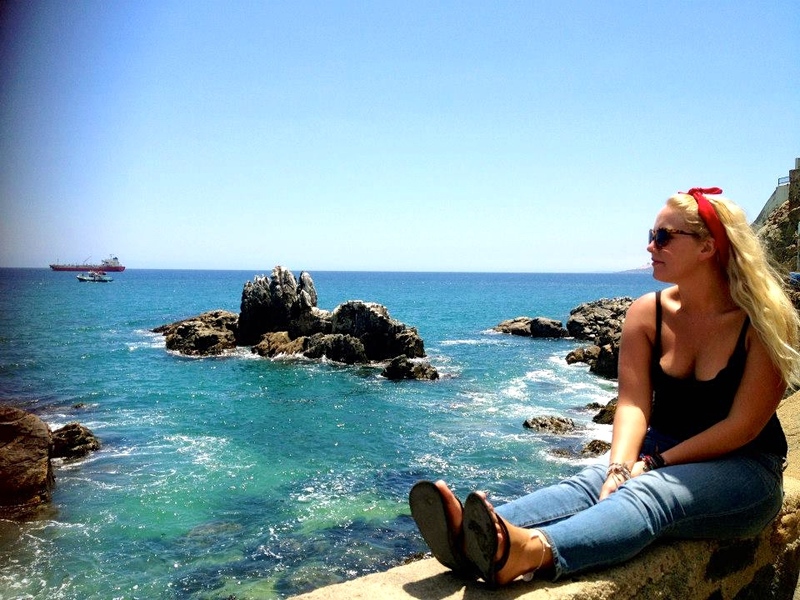 EVERYTHING TO SEE AND DO IN VALPARAÍSO, CHILE! Without a doubt the highlight of our time in Valparaíso was going on the ‘Tours For Tips’ walking tour. I had never been too impressed by walking tours in the past but this one in particular was a game-changer. Not only was the guide (who normally wears a red and white striped ‘Where’s Wally’ style shirt) hilarious but he spoke perfect English and showed us not only the sights but taught us a lot about Chiles history and current political issues. Wether you are short on time or just want to see the best spots in Valparaíso and find out the local tips for bars and restaurants then this tour is for you. In the three-hour tour we were shown the incredible, and sometimes thought provoking, street art. We were taken on the worlds first cable car, the funicular, which took us up the steepest street in Valparaiso. We were taught about the history of the port and the importance it had on Valparaíso and Latin Americas history. We were taken to Cerro Concepion to enjoy the views over Valparaíso and beyond. 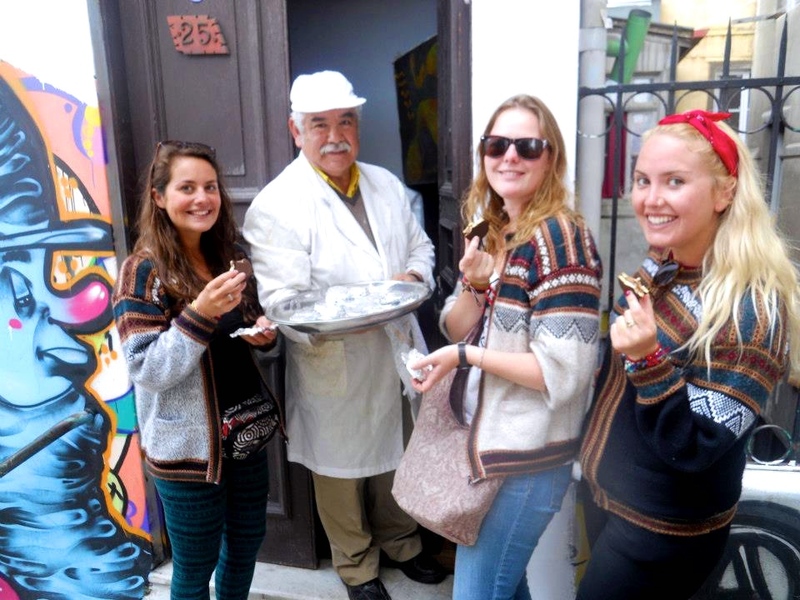 We sampled Chiles most-loved Pisco Sour drinks and taken to the doorstep of Don Sergios home to sample the most incredible Alfajores I ate in all of South America (caramel and often chocolate biscuit). All of this is free, as it is a free walking tour, but tips are expected in the end. We each tipped the equivalent of $10 as we found the tour incredibly helpful and interesting. I cannot recommend this tour enough, not only is it the best walking tour I have ever done but it shows you everything to see in Valparaiso in just a few hours! To find out more about the tour visit the Tours 4 Tips website here! Viña Del Mar, only a twenty-minute bus ride from Valparaíso, is considered the Miami of Chile. Many of the rich will have a holiday home in this beach side town. It is full of fancy restaurants, for those who can afford it. Being Australian I wasn’t too impressed with the beach but it is a lovely place to spend a relaxing day in the sun and surf nonetheless. 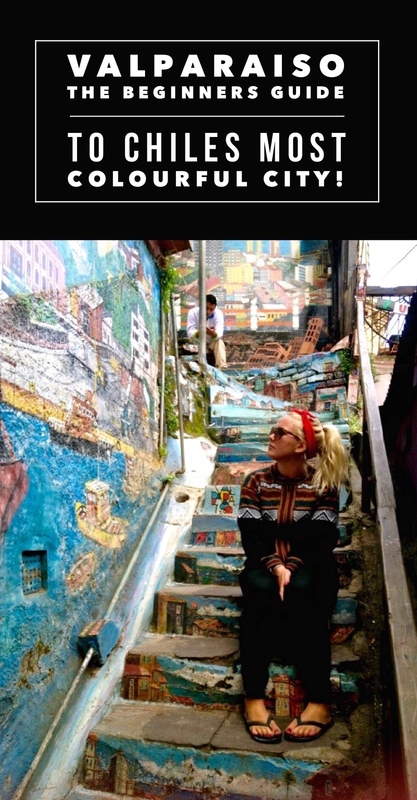 I loved our time in Chiles most colourful city, Valparaiso! It is the perfect spot to soak in some culture for a day or two! Use Pinterest? Pin this photo! Over to you! Is there anywhere I have missed that you would recommend seeing during a visit to Valparaiso? Does this colourful port city sound like somewhere you’d like to visit?